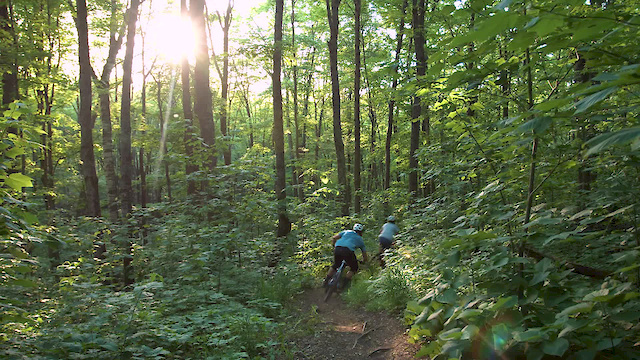 Professional rider and Vermont native Alex McAndrew and his Fiancé Ella Skalwold sample some of Vermont’s finest trail riding (and beer) in this new short film from Backroad Creative and Long Trail Brewing with support from POC. I felt like I just had a 30min back massage, or zen acupuncture mountain bike meditation or something. Great video! Love the soundtrack, birds and bike. East Burke, so probably the Kingdom Trails network. Apparently very sick spot to ride! I'm also curious where this was filmed?